We live in a time when common sense has become quite rare. Likewise, the voice of reason has fled humankind. For these reasons the following essay will be quite difficult for many to understand or believe or imbibe. If you were running the world during these tumultuous times, and you knew that events were on the horizon which would forever alter the entire planetary civilization, would you use the global mainstream media to tell everyone? If those earth-shattering events were as unstoppable as they were fateful, would you disseminate this information? If your answer is “Yes”, what will the 7 billion plus people who reside on Planet Earth do the next day? That is, after you tell them that their world is about to come to an end. Will they still go to work? Will they continue to support the Consumer Society? Will many of them even want to get out of bed again after they hear what is coming? Herein lies the challenge that is faced by the World Shadow Government (WSG). Remember, there is one thing — more than anything else — which the WSG fears. They know—> that real mayhem in the streets will not treat them well. Therefore, spontaneous social pandemonium is their greatest worry. Unpredictable political paroxysms strike fear into their hearts. 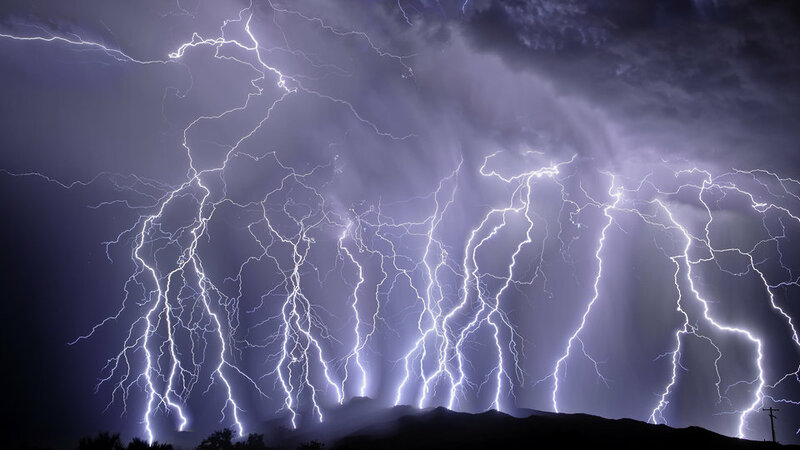 Uncontrollable financial volatility will only serve to shatter their control matrix. With this understanding one can better comprehend the many unreasonable and irrational, mindless and foolish, crazy and insane actions taken by the World Shadow Government. Obviously they know that their time is up. Accordingly, they have less and less control – by the day – over how things will play out. Yes, they may have a Plan A, a Plan B, and a Plan C. However, there are many emerging eventualities over which they have far less influence than what they are used to. Their bunkers buried deep underground may not be in the protected areas they once thought. Nor are their off-planet rendezvous sites as safe from solar system calamities as they once believed. Of course their experiments with time travel and interstellar travel, wormholes and parallel universes, blank slate technology and invisibility cloaking have already proved disastrous. Before we continue to address the unfoldment of their master plan, and how it is thwarted at every turn, exactly what is it that the WSG is so concerned about? Does something lurk in the far reaches of the Solar System which has their undivided attention? You be the judge! The following video may be one of the most revealing you will ever watch. It also informs as to why there are so many desperate moves being made at the very top; the pervasive institutional madness somehow becomes fathomable. We are not suggesting that all of the scientific predictions of Carlos Muñoz Ferrada* are entirely accurate. Prophecies of this nature are rarely perfect. However, what this highly intuitive and gifted astronomer and seismologist has told us cannot be ignored. *Carlos Muñoz Ferrada, predicted with extraordinary accuracy numerous earthquakes in South America during the last century. He did this by making direct correlations between specific astronomical phenomena and various catastrophic earthquakes and volcanic eruptions. His most significant prediction regards the “future arrival of a great Comet-Planet”. For those who did not watch the preceding video, Ferrada calls it a Comet-Planet because it has the size of a planet, and the speed and elliptical orbit of a comet. Whether you believe or not what this video portrays is not essential. What matters is that there have been numerous prognostications of this nature over millennia which simply can no longer be ignored in the face of such pervasive and compelling evidence. What kind of evidence? Before we go there, it’s important to point out that Latin America has produced other gifted visionaries just like Carlos Muñoz Ferrada. Here are three of those individuals who have independently referred to the future happenings delineated by Carlos Ferrada. (1) V.M. Rabolu (1926 – 2000) was born in Tolima, Colombia. “Benjamin Solari Parravicini, the great Argentinean prophet, who was nicknamed “the South American Nostradamus”, wrote some decades ago: “The hour of hours will arrive and in its darkness the crash of the big planet will be received. The Earth will be reversed. Everything will fall”. Why else do you think the Vatican owns an observatory outside of Safford, Arizona? 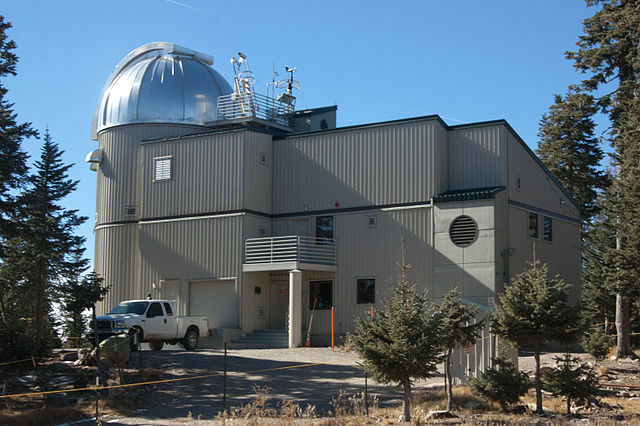 Not only does the Vatican operate the Vatican Advanced Technology Telescope (VATT) at Mount Graham International Observatory (MGIO) located in southeast Arizona’s Pinaleno Mountains, they share the same facility with the The Large Binocular Telescope Observatory. “The Vatican Advanced Technology Telescope, aka the VATT, is a 1.8 meter Gregorian telescope observing in the optical and infrared.” Why infrared? 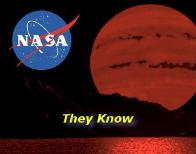 Because Planet X is often referred to as a brown dwarf which has cooled down so much that it can only be detected in this range of light frequency. The Vatican Secret Archives has probably more volumes of original documents in the form of scriptural treatises, as well as historical records produced by the ancients, than any other library on Earth. The Roman Catholic Church is further informed about the future of humanity from the numerous Marian apparitions which have occurred around the world over the past two hundred years. It is a well known fact in certain circles (e.g. Curia and Magisterium) that many of the prophecies, which were given to mostly children, have never been released by the Church hierarchy because of the dire content. Why might this be the case? Because those controllers of information know that such doses of reality are simply too much for the masses to bear. Of course, they have deliberately leaked this and that information over many decades so that those who have ears to hear will receive the messages they are meant to. 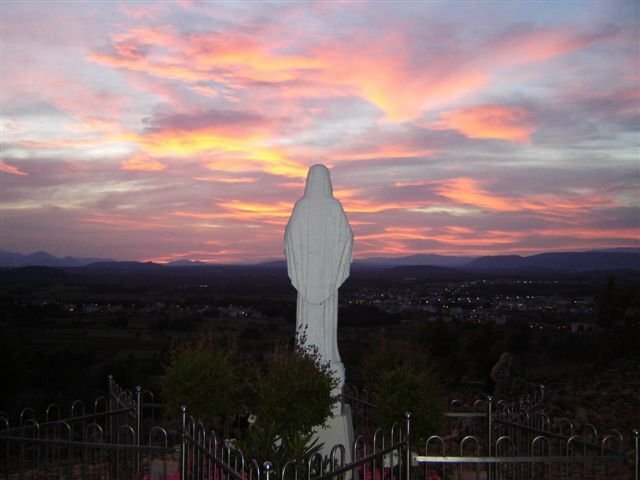 Medjugorje is just one of the latest and most famous series of Marian prophecy which clearly indicates that “Huge Changes Are Coming To Planet Earth“. Whenever these predictions veer into earth change territory, they always speak of massive, unprecedented and cataclysmic events overtaking the entire planetary realm. No location is spared, except those which are preordained as safe havens for the protected portion of humanity that is to be safeguarded. The Marian apparitions at Garabandal also imparted prophecy which used similar language about a warning to all of humanity, as well as a chastisement which would humble every human being. So have many other lesser known appearances of the Blessed Virgin Mary such as those known as the Bayside Prophecies. Even the Third Secret of Fatima is said to concern the end times, which is why it was never officially released by the Vatican. An axis Pole Shift is the only planet-wide geophysical event which can generate so many predicted changes. The historical record, both geological and archaeological, is replete with hard evidence of periodic planetary catastrophism. Our blue orb has, in fact, experienced global land mass rearrangements at the closing of eras and conclusion of epochs since the beginning of time. As we approach the current denouement of the Kali Yuga (Age of Conflict), also known as the Iron Age, it is certain that Mother Earth will once again turn on her axis. So that the old lands can be rejuvenated and refreshed, this is but a necessity. So that the new lands can emerge to sustain the new race of humanity is likewise an essential byproduct of axial pole shifts. Therefore, the real $64,000 question is just what kind of celestial event would provide the requisite interplanetary dynamic to precipitate a shifting of the Earth on its axis? Barring an invisible form of deus ex machina to produce such an outcome, only a celestial intruder of great order would possess all “the right stuff” to cause the Earth to literally roll over … and stay there as the new normal. Hence, we see more weight than ever afforded to the various schools of thought which promote a “Planet X”. All of these names have been proffered as candidates for the heavenly body which may be responsible for both past and future catastrophism on Earth. That’s not to say that there are not other diverse possibilities when considering the various apocalyptic scenarios which the planet has been proven to undergo. However, asteroids and large meteors, gamma bursts and supernovas each have their obvious deficiencies when trying to explain an event like a pole shift. Of all the theories which abound, and there are many on the internet, the narrative surrounding Hercolubus seems to be the most plausible. It also appears to be the one which forms the basis for all the others. Even the Nibiru story, and their Annunaki travelers, seem to have originated from the Hercolubus version of earth-shaking events. It’s true the Sun has been going through some major changes over the past few decades. We wonder if its new location in the galaxy vis-à-vis the Galactic Center is enough to bring about such a profound and fundamental transformation. We also wonder if there are other galactic happenings – both seen and unseen – which may be triggering and sustaining Sol’s new behavior. As the Sun ages, it is quite possible that it is simply entering a new phase of existence, not too unlike a teenager growing into a young adult. However, there does exist an overwhelming body of evidence which points directly to the influence of sizable planetary sphere within the outer reaches of our Solar System. This would also explain many of the other recent and radical changes undergone by all the other planets. Especially one with an immense gravitational field would be required for the axis shift in question to occur. Such a celestial body would also have to possess other extraordinary properties and unique features in order to effectuate a Pole Shift, as is often foretold. In other words it appears to have it’s own type of ‘intelligence’. So now the question is: Where is it? Just where is the heavenly body which may be careening toward our Solar System at this very moment? 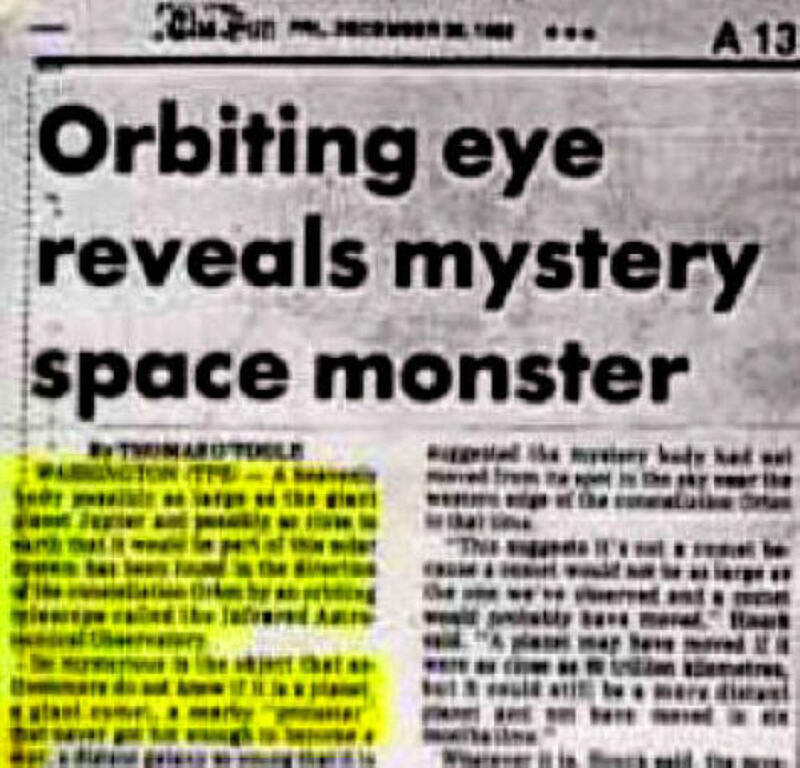 Dr. Gerry Neugebauer, IRAS chief scientist for California’s Jet Propulsion Laboratory and director of the Palomar Observatory for the California Institute of Technology rendered an account which ended up in the Washington Post back in 1983. Another noted astronomer Dr. Robert S. Harrington, was convinced of the existence of a “Planet X” because of the perturbations which many in his field had observed on both Neptune and Uranus. 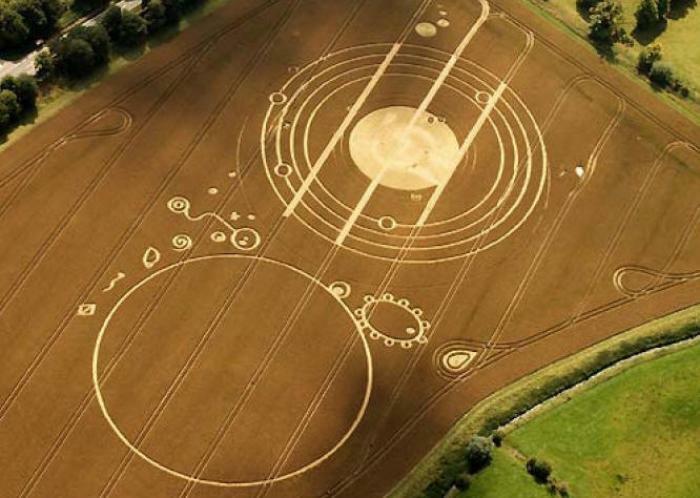 Might this crop circle be telling us about an approaching celestial body (aka Planet X) from outside our Solar System? What is causing the dramatic and meteoric changes throughout the Solar System? The Planets — all of them — have been experiencing unparalleled and dramatic transformation never seen or recorded before. Global Climate Change is increasing and intensifying rapidly … everywhere! Heat Wave: Death Valley hits 128 degrees — or is it 129? Snow Plows Needed In July! Are We Falling Off the Climate Precipice? 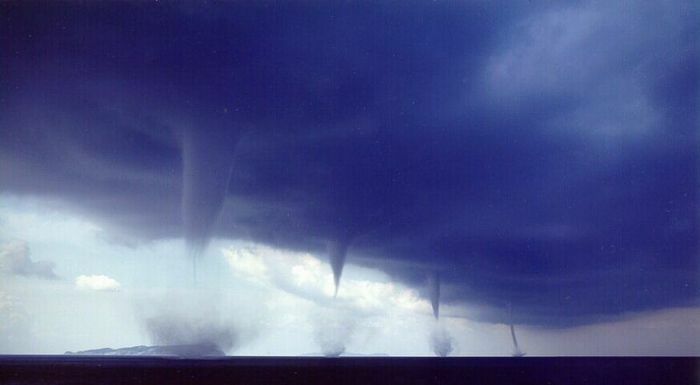 The photo was taken by Brian Johnson, a storm-chasing photographer, near Wichita, Kan., on May 30, 2012. Click on the image for a larger version. The preceding headlines — from 2013 only — tell the story much better than we can. 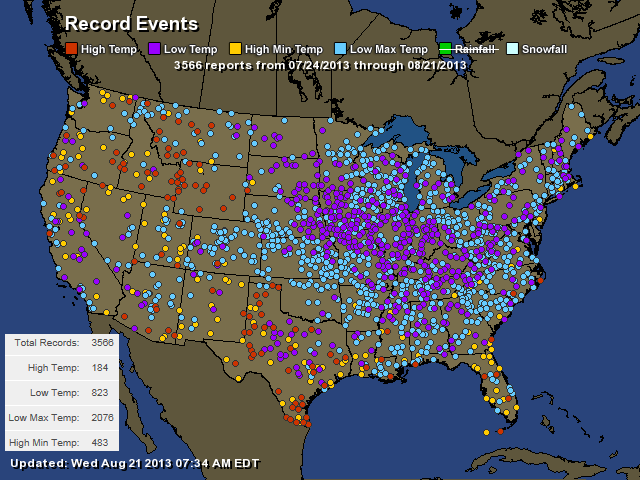 The worldwide weather patterns have gone into a crash and burn mode, both literally and figuratively. Every region of the world has now experienced a periodic and profound departure from their traditional weather norms since records have been kept. 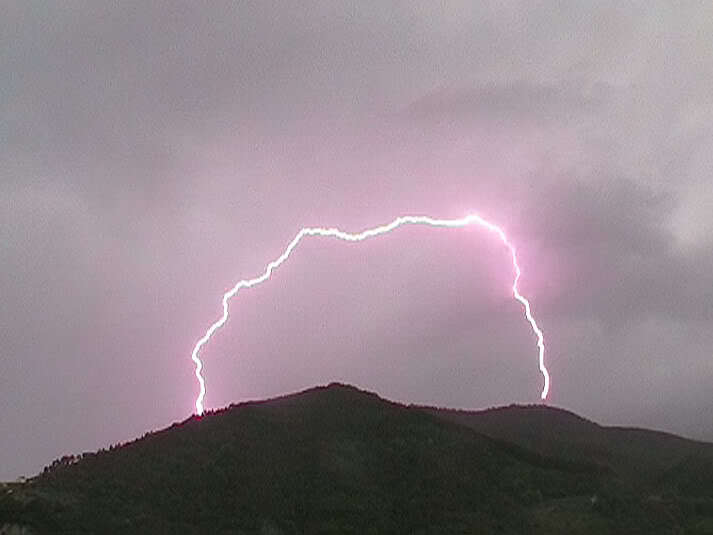 “Global Climate Change does not accurately describe the planetary predicament; an ongoing worldwide atmospheric apocalypse does … manifesting as localized weather cataclysms“, as stated in the recent CCRG article on Global Warming. Might the incoming Comet-Planet have hyper-dimensional qualities? First, it is critical to understand that the physical nature and behavior of this hypothetical Comet-Planet can only be properly understood when viewed through the lens of the Electric Universe Theory, as well as Plasma Cosmology. Being cognizant that the universe is comprised of “plasmas (ionized “gases”) which make up 99.999% of the visible universe” is the only way to correctly apprehend the unique characteristics of such a heavenly body. For instance, Carlos Ferrada has stated that Hercolubus travels at 300 kilometers per second for half of it’s orbit. In the video he emphasizes that this is 1/1000th of the speed of light. Therefore, we can only assume that this particular heavenly body is quite literally a HEAVENLY BODY! One that obeys a set of laws that can neither be defined by Quantum Mechanics nor Theory of Relativity. It may even be the case that the Electric Universe cannot adequately explain the dynamic components of a comet-planet. For the uninitiated, the esoteric field of Hyperdimensional Physics (HDP) is still emerging from its infancy. It does, however, provide a quasi geo-physical context in which a celestial body of extraordinary size, mass and speed can behave as a comet-planet. Both the Electric Universe Theory and HDP also accommodate many other inexplicable aspects of the Solar System and anomalies throughout the Milky Way galaxy which have eluded sound scientific explanation for decades. Likewise, there are countless other galactic phenomena, which the current astronomy and astrophysics paradigms do not sufficiently illuminate or support. In light of these and many other inconsistencies found throughout the tenuous teachings of the academic establishment, it must be noted that the conventional wisdom has been found wanting in this regard. Clearly, there is very little room for either periodic catastrophism or comet-planets within the existing realm of astrophysics research institutions or their peer-reviewed scientific journals. Neither are rarely addressed with any seriousness for reasons that perhaps have more to do with premeditated denial and purposeful obfuscation, as was previously discussed. Yes, the whole subject matter is simply too radioactive for the establishment to take up in any factual or meaningful way. And so it shall remain until the end of days. An artist’s rendition of what Hercolubus might look like. When will the Final Shift occur? There is only one answer to this question. Those who reside at the very peak of the pinnacle of Global Control Matrix know the answer. They have all been here before. It is really that simple. This statement also captures the essence of why the timing is so difficult for anyone to pin down. Because those who direct the most consequential and far-reaching scientific research experiments in the Solar System know exactly what they’re doing, they actually have their foot on the accelerator. Of course, the Highest Power controls all, so the actual moment of truth will “come like a thief in the night”, as it always does. Since Hercolubus can behave as a hyperdimensional entity, it exists outside of the normally perceived parameters of our universe. It is, however, extremely impressionable and responsive. Were it to receive the frequencies which indicated that the misguided scientists (and their controllers) have really crossed the line, it just might show up on our doorstep tomorrow … literally! However, there are all kinds of agency with which to send the final message. Whether the agent shows up deus-ex-machina style or in the form of a HUGE red planet also known as the “Planet of the Crossing” remains to be seen, yes? What is of greater interest to those of us who have watched this drama unfold is exactly where in our Solar System the curtain will go up. During previous epochs, the show always began at the “crossing place” or “place of transition”, as the Akkadian name of Nibiru means. 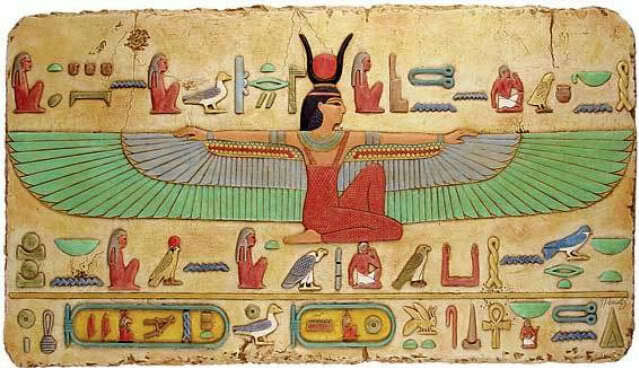 The Egyptian Goddess Isis is often portrayed as the “WINGED DISC”. The wings represent the spirals and the disc represents the Great Central Sun of the Milky Way Galaxy, aka the “Great Mother” of our Solar System. The Solar System and Milky Way Galaxy have an elegant order and beauty. The outcomes of runaway applied science and unchecked applied technology do not always support this established order. In fact, there are numerous covert DARPA programs such as HAARP, and concealed NASA initiatives as described in “Dark Mission,” which ‘fly’ directly in the face of an orderly universe. Just how far do you plan to go before you put the entire civilization in jeopardy? How much more engineering of the earth and manipulation of the solar system will you conduct before irreparable harm has been inflicted? You know by now that the galaxy gives residence to all manner of ET civilizations. Just as it houses different planes of existence. Each and every “loka” or dimension is inextricably connected. Therefore, what you do down here will have effects throughout the cosmos. Above all, be aware that when your actions affect the destiny of other planets or solar systems or ET civilizations, which are not karmically meant to be affected, the time is very, very near. We ask: Just what kind of effects do you want to have from this point forward in your neck of the woods? More importantly, you will want to deeply consider the repercussions should those effects cross the inviolable line. Be very careful about what you pursue to the detriment of the galactic environment. Earth has already been devastated, so it must be cleaned up before you look to soil another nest. Lastly, it would seem at this late date that you would want to be more careful than ever about what you manifest into reality, both here and above! 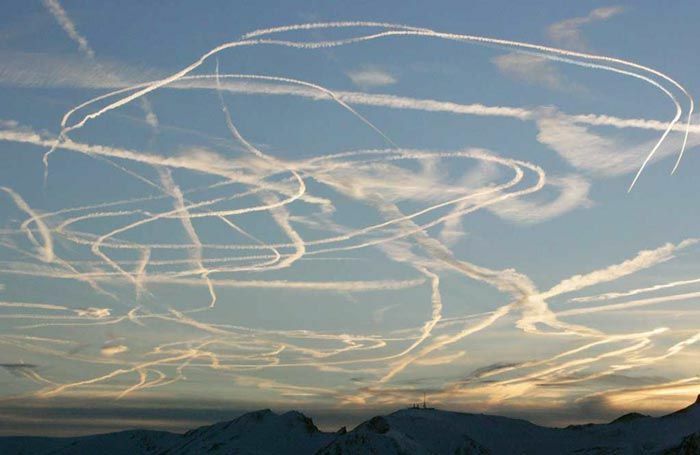 Perhaps you can begin by not messing up our skies with your CHEMTRAILS, please? … that something very BIG is around the corner! And that is the number of manmade catastrophes which are engineered wittingly or unwittingly. For example, each of the past four years have brought to the planet an extraordinary event of truly historic and monumental proportions. We all saw the BP Gulf oil spill of 2010. We all witnessed the Fukushima nuclear catastrophe of 2011. We then experienced Superstorm Sandy in 2012. And, of course, we just finished experiencing the US Government shutdown in 2013. What is important to understand about each of these events is that they are all ongoing. The people on the Gulf of Mexico coastline will verify this, as will the whole country of Japan. So will the residents of the Jersey shore. Likewise, the entire USA is just waiting for the next Debt Default Doomsday Date. There is something much bigger going on in the background which compels the WSG to completely ignore the real solutions to these and many other urgently pressing matters. At the same time, whenever they do respond they seem to do so in a manner that guarantees an exacerbation of the problems which humanity faces. 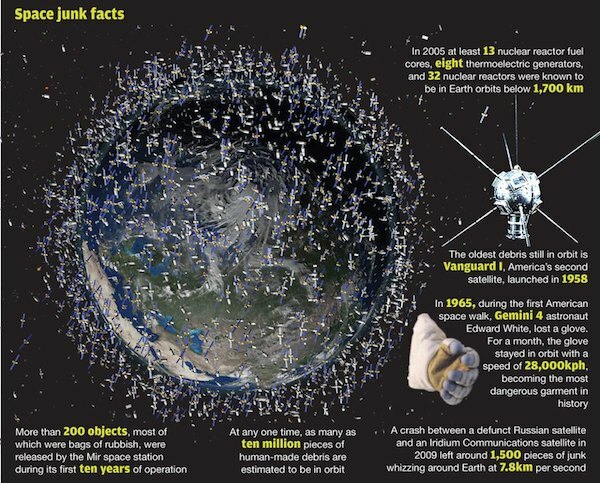 Another perfect example of this willful neglect and ineffective remediation is the proliferation of space junk. Especially junk which is powered with nuclear energy! Can you imagine that stuff is sent up into space which produces nuclear byproducts and/or radioactive wastes? Where’s it all going to go when those various satellites and probes and space weapons decide to come back to Planet Earth? The final point is that much of that ‘space junk’ is serving a vital purpose in the minds of the WSG. Tracking brown dwarfs, comets, planetoids, asteroids, large meteors and comet-planets is certainly now a HUGE priority for them. Apparently the dangers posed by the free-fall of any of this nuclear-powered ‘junk’ must not compare to the benefits which they are accruing, in the meantime, from their global SpaceWatch Program. Perhaps their completely cavalier attitude and reckless response to so many things is a reflection of what really does matter to them at this very late date? Who could deny that a “Hercolubus” would fit the profile of such a grave and momentous concern. We can only conclude that the rapid and relentless weaponization of space, which has occurred since the Reagan years, may be less about controlling the territory below, and more about eliminating threats from above. And, that the Stars Wars program (aka the Strategic Defense Initiative) was actually conceived in anticipation of a war in the heavens … or with unwelcomed celestial intruders? With all the aforementioned changes happening right in our own backyard (read Planet Earth), is it any wonder global climate change has taken the world by storm? As for the true cause of such pervasive, profound and permanent changes, a Hercolubus in our neighborhood appears to be a very realistic possibility. Quite frankly, it might be better if humankind assumed that it is as real as our highly esteemed Chilean astronomer has described it. In this way, the community of nations would get down to the business of respecting our precious planet, not competing for it’s every resource. We are concerned that if a concerted effort is not made in earnest, with haste and in good faith, the future will be much less pleasant than it has to be. Always, the people of the world have the inherent power to positively affect all the outcomes referred to in this paper. The more we resonate with reverence for Mother Earth, the quicker the message can be delivered to her sister planets and brother planetoids that we have relented in our harmful behavior. The following essay clearly delineates the concealed relationship that exists between Planet Earth and the luminaries. More importantly, it portrays the fundamental relationship between humanity and Mother Earth, as well as between humankind and the Sun. Understanding the true nature of these relationships — and acting on it with sincere reverence and respect — is the single best way of averting any unwanted prophecy or negative outcome, no matter how carved in stone they may appear to be. Is there also a “Planet X” in the picture? Truly, a collective consciousness filled with light and wisdom and love can serve to mitigate even the most severe consequences of wrong living. If ever there was a time to unite around a single cause, this is it. Once we exceed the point of no return, what will come cannot be stopped. Nor can the severity be alleviated once the key dominos start to fall. We do think it is long past the hour to reverse the course of our civilization. It’s actually less than a minute to midnight. The World Shadow Government has proven time and again that it would rather take the path of least resistance. Doing nothing is certainly the best way to not alert the public about these eventualities. They also know that the die has been cast many decades ago. And, that their predecessors chose to chart a course which would be more and more difficult to change with each passing day. There is no question that the collective will and predominant intention of the human race has great power. Likewise, a common purpose among the community of nations can change the many self-defeating trajectories on which the civilization finds itself. Planet Earth is currently in a very unique place within the galaxy, suffused with sublime light, rarefied energies and benevolent grace. The challenge remains how to harness this fortuitous position of destiny for the highest good of everyone concerned. What shall we do? Individually, we can remain centered, grounded and focused on what is really important in each moment. If nothing else, each of us can go within to find our strength, our courage, and our resolve to make it through and out the other side happy, healthy and whole. Truly, going within during these challenging times, and meditating on the Supreme Consciousness will guide us in our moments of greatest need. May Almighty GOD have compassion on us all! This essay has been in the works for over ten years. Why now? Because there is a need among many to know. The level of absurdity and confusion throughout society is a dead giveaway. Things are now experienced hourly which provide clues to the average person about the altered reality that becomes more fabricated and foreign by the day. Not only is the veil being torn between dimensions, the curtain is being ripped apart here on Earth. The time of Revelation is upon us … everywhere we look. So, what can we do to prepare for the future no matter what it brings? Whether we are ushered into a protected environment in the Inner Earth or marshaled into a safe haven on the planet’s surface … whether we are taken off planet to Europa or ordered into a bunker in Colorado … wherever we go, it will be the best place that we can be. 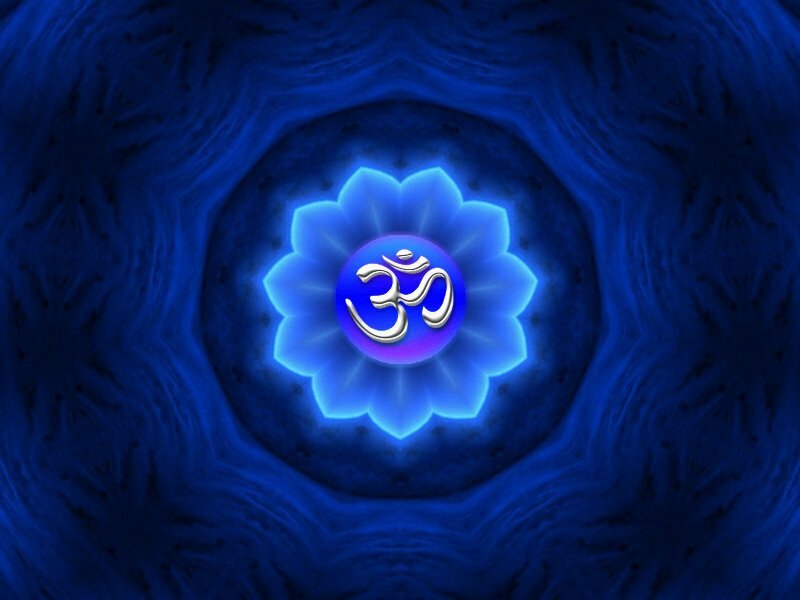 Please know that according to the laws of karma there are a two things in life which can never be altered. Your birth date and your date with death are pretty much carved in stone. In other words your destiny is preordained in this regard. It would take a rare act of GOD to change them. Therefore, we can take great comfort in knowing that we will always end up in the perfect place at the perfect time with the perfect people. Everything happens for the best … and for our highest good. There are several names and nicknames which refer to the Planet-Comet. Some of them, however, are also used to refer to the stationary dark star which is the companion to our Sun. Some call it the Raja Sun or King Star. Others have named it Hercolubus or Red Planet. Then there is Planet X, as it is known, which is also called the 12th Planet. 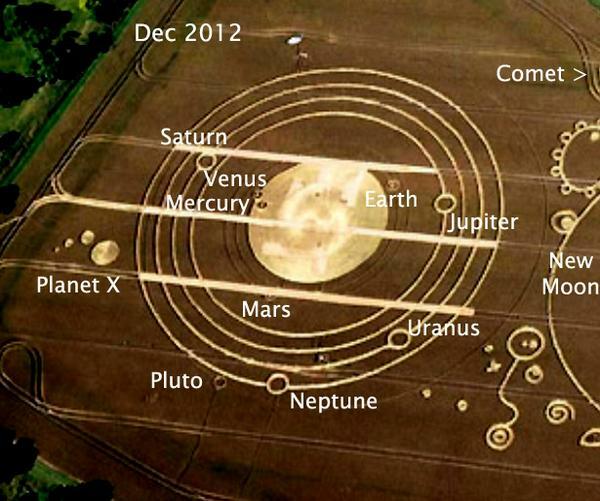 It is likewise referred to as the 10th planet, depending on whose counting them. Now that Pluto is no longer a planet — ‘officially’ — the whole numbering system has been thrown into disarray. 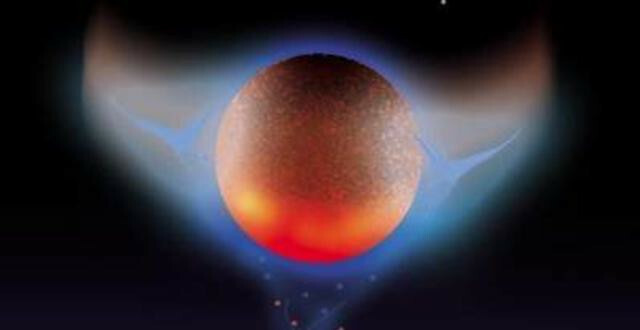 Of course, there is Nibiru, which has stolen the show where it concerns the Planet X phenomenon. Zecharia Sitchin published The Twelfth Planet in 1976 which began the debate about the existence of Nibiru. 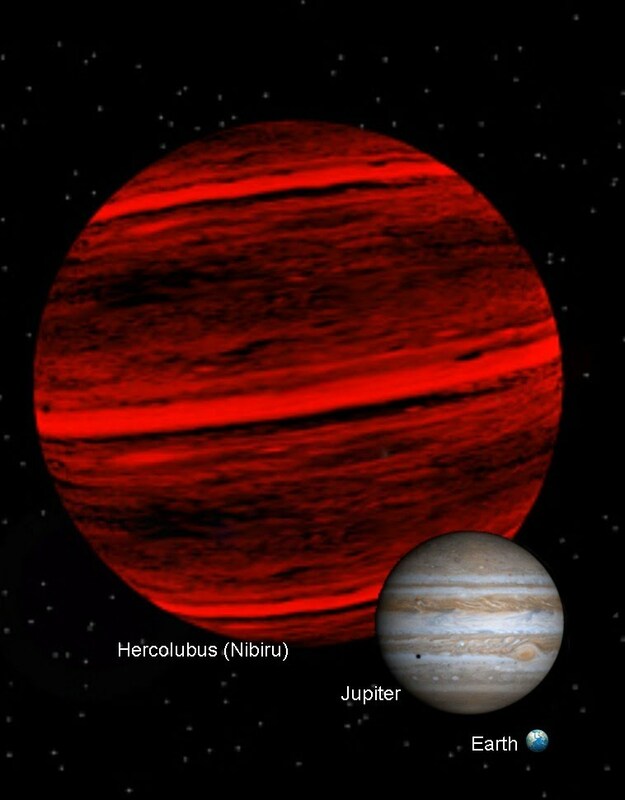 There are many similarities between the Hercolubus prophecies and the historical accounts of Nibiru. These ought to gives every researcher reason to wonder if they are the same planet-comet. Hercolubus seems to have been originally popularized in South America by Chico Xavier and Hercilio Maes. However, it was Carlos Muñoz Ferrada who brought the necessary scientific gravitas to this particular telling of the story. Undoubtedly, his account is the most precise and authoritative. Other names have been used to label a single planet which has been surmised to be traveling in the entourage of such a large Planet-Comet. 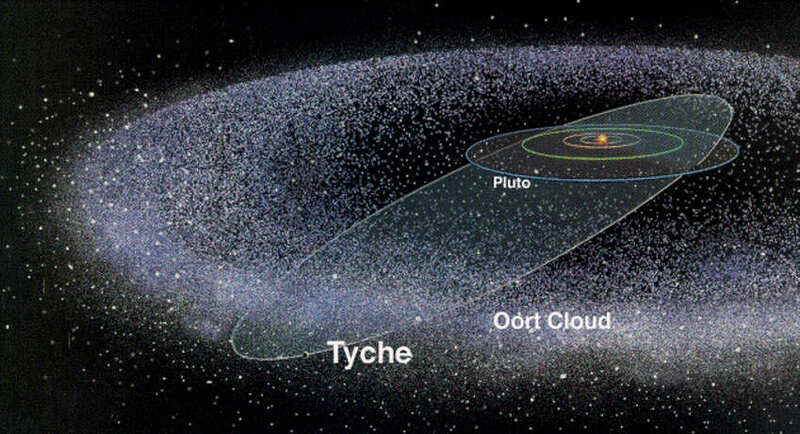 Still other names such as Tyche have been chosen to identify a “giant stealth planet” located in the Oort Cloud, just as Nemesis is the label for a red dwarf (or brown dwarf) star that regularly enters the Oort Cloud. In any case we understand all of these references, no matter what the source or context, to be someone’s attempt to understand this “Greatest Mystery Of The Modern Era”. Of course, there is also a massive amount of disnfo, misinfo and false info purposely placed all over the internet to further confuse this weighty matter. Ferreting out the truth is virtually impossible, which is why we have given so much credence to Carlos Muñoz Ferrada. His video presentation is both simple and straightforward, scientific and intuitive. Its exceptionally powerful and prophetic message speaks volumes, which all the related scientific research papers in existence cannot dismiss. According to Hindu cosmology and the sacred scriptures of Yoga, Lord Vishnu appears as “the Kalki” at the end of the Kali Yuga; His corresponding planetary body is the 10th Planet, which will also manifest as the final sign. “Over the course of the past four major yugas or eras of time, there do appear 10 major incarnations of Lord Vishnu. Each appearance takes place during a critical period in the evolution of humanity, as well as at key junctions points during the life cycle of Planet Earth. It is known throughout much of Eastern civilization that the Lord Himself always chooses to incarnate, when worldly dharma (also known as righteousness and order) has sufficiently degenerated, for the benefit of spiritual aspirants and His devotees. And so he did. “Each of these divine incarnations appeared in their culture during a period of great adversity and particularly difficult circumstances. Out of compassion and mercy, the Lord takes a form that is also represented by the predominant energy of each of the primary luminaries of the celestial firmament. For example, Lord Krishna is widely recognized as the divine incarnation of love. In the most sublime and sacred scripture of the East — the Bhagavad Gita — Lord Krishna says, “Among stars, I am the moon.” He is associated with the moon in many ways throughout the lore of Indian culture and tradition. “The complete list of the ten incarnations of Vishnu throughout the four major ages and their corresponding planets/luminaries is shown below. The last of these is Lord Kalki — the final embodiment of Lord Vishnu who is said to incarnate at the closing of the Kali Yuga, our current Iron Age. For those who are uninitiated in these matters, we now stand at the very end of this Age of Conflict. 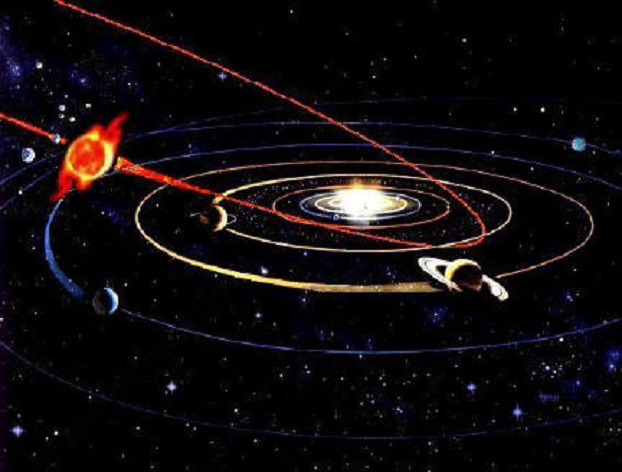 The Kali Yuga ends with the passing of Lord Kalki, whose planetary body in the Solar System is the 1oth Planet, sometimes surmised to be a periodic planet-comet. How to prepare for the New Earth transformation? Planet X or Dark Star? HubbleSite – ISONblog – What’s Going On With This Comet ISON Image? Did NASA Accidentally “Nuke” Jupiter? 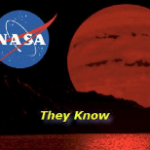 Is Google Censoring Nibiru Planet X? The Golden Age And The End Of The World – >Extinction or Enlightenment? 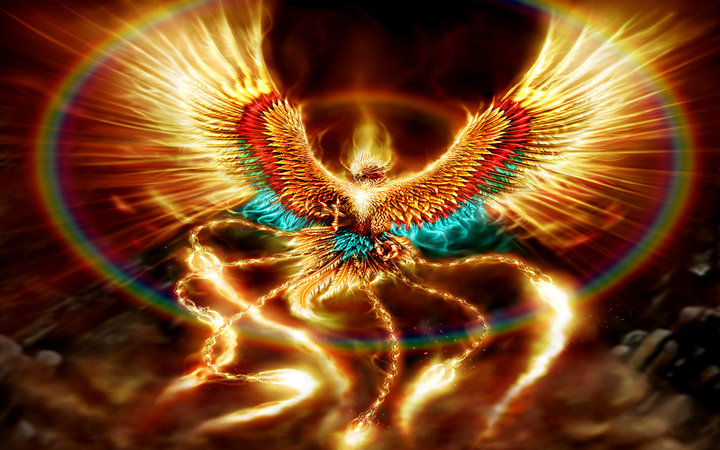 The ***PHOENIX*** is reborn from its own funeral pyre after self immolating at the end of its life cycle. Also known as the legendary Firebird, the PHOENIX is a mythological and metaphorical harbinger foretold by many of the ancient civilizations. From time immemorial, this winged messenger has represented what all the cultures of antiquity knew about the cyclical ending of the ages. Especially at the end of the Kali Yuga, because of the turbulent, tumultuous and tempestuous transition to the Golden Age, is this apocalyptic allegory more relevant than ever. Perhaps the PHOENIX is just another name for Nibiru, like Hercolubus and the many other labels for the planet-comet known as Planet X. After all, the myth associated with this legendary bird does portray the oft-prophesied ending of the Iron Age with uncanny precision. The PHOENIX self immolates on its own funeral pyre only to rise from its ashes, just as human society is now doing during this twilight period of the Kali Yuga. Who among us has not heard of the coming Golden Age — an age that can only begin after the dissolution of the current planetary civilization? In 1997, simultaneous with the appearance of the awesome Comet Hale Bopp, another event took place in the skies over Phoenix, Arizona. The Phoenix Lights, as they are known, was arguably the most dramatic UFO display in modern history. It is quite significant that this winged formation of extraordinary lights appeared over PHOENIX. It’s also no coincidence that this slow-moving, triangular pattern of lights occurred in the skies of a major American city very near in time to the perihelion (closest point to Earth) of the extraordinary comet Hale-Bopp. Truly, the PHOENIX appears to every human race or culture, civilization or society, planet or continent, that is ready to be reborn. The current race of humanity knows that Mother Earth is ripe for such a planetary renewal and rejuvenation of her biosphere. And so it shall be done. Comet Hale-Bopp (aka the “Great Comet of 1997″) was most visible in the skies around the world during the entire month of March of 1997. The Phoenix Lights took place on March 13th 1997 and traversed the major metropolitan area of Phoenix. Three of the Triangle UFO lights hovering over Phoenix, AZ on March 13th, 1997.